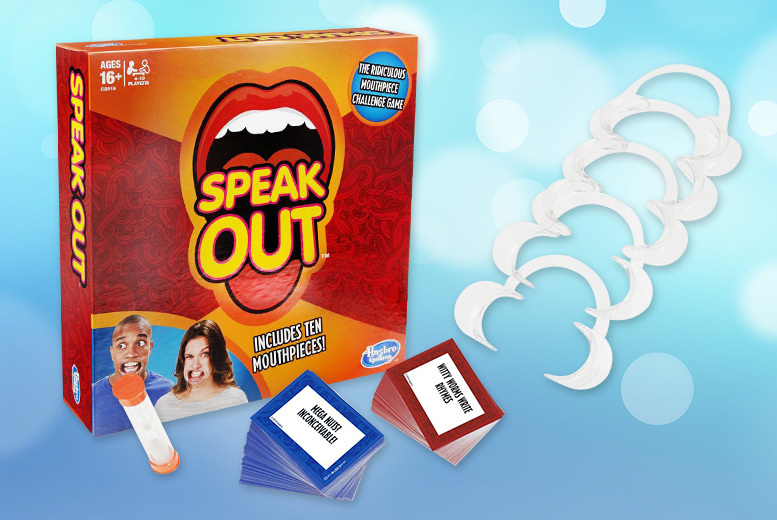 Get a Hasbro Speak Out board game. Entertain friends and family with this 4-5 player game! Try to say as many different phrases as you can. All while wearing a mouthpiece! Includes a timer, 10 mouthpieces and 200 phrase cards. Size: 27 cm x 27 cm x 5 cm.